One of my favorite desserts is a simple “Birne Helene”, sautéed pear with chocolate sauce, often accompanied with vanilla ice cream. 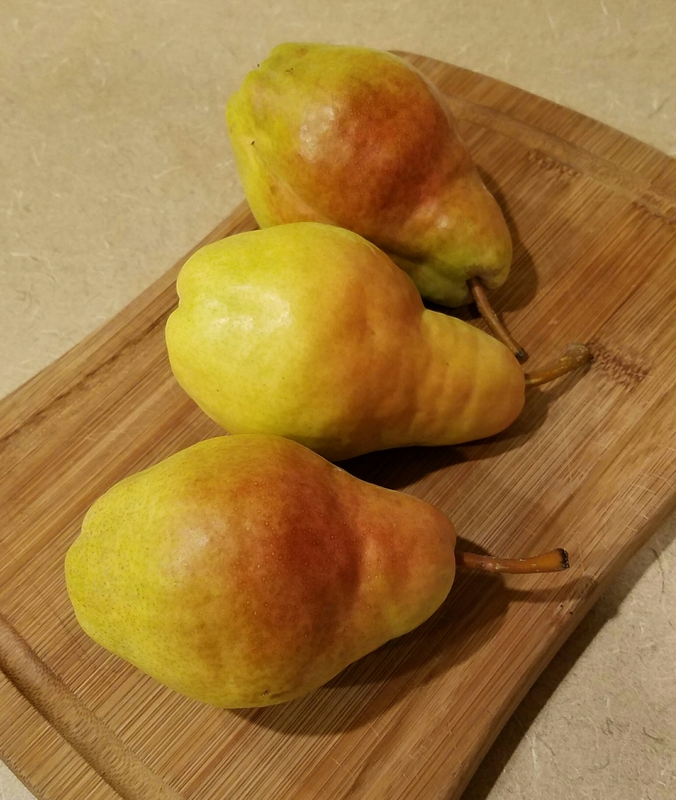 When I found beautiful Bartlett pears on sale I planned on making this dessert, but then thought- why not bring it to another level and make a pie? I decided to give it a try, although I had no recipe – I just had to hope for the best, and I was lucky! 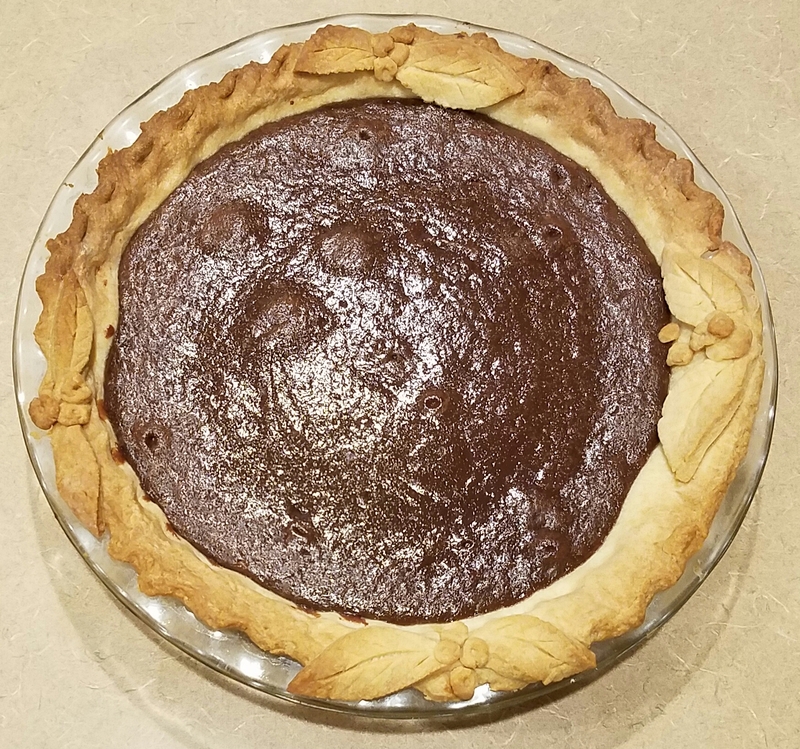 The pie turned out just as I wanted. 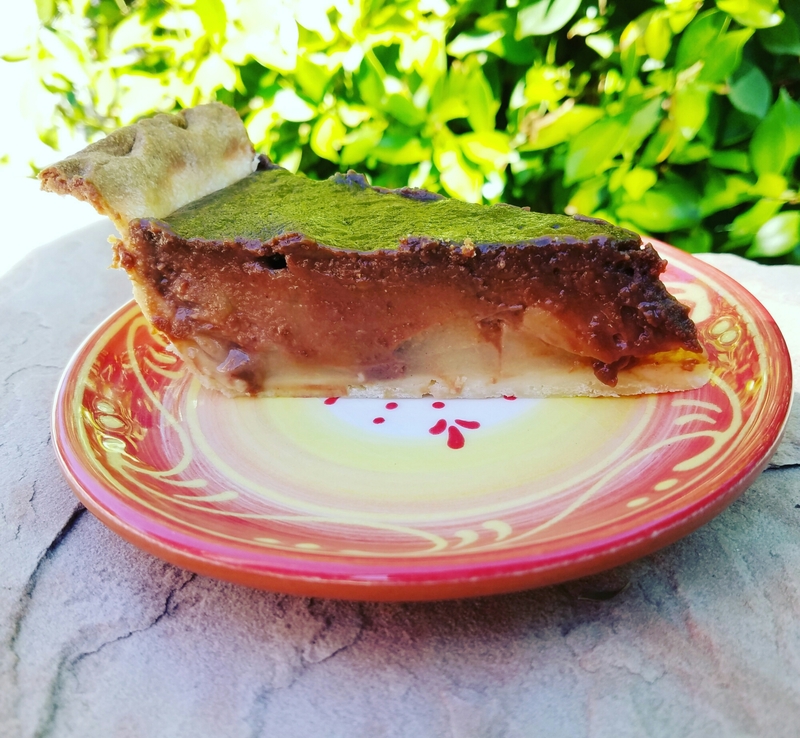 At first the combination of fruit pie and cream pie might seem unusual, but it works perfectly together – pear and chocolate are definitely a match made in heaven! First prepare the dough. Mix flour, sugar, eggs and soft butter and knead until smooth, wrap in cling foil and let sit in the fridge for 30 minutes. Peel and core the pears and cut into thin slices. Sautée in a large pan with water, sugar and spices, for about 4 minutes until just softened. Take out of the pan and let cool. Mix sugar, flour and cocoa powder in large saucepan, add evaporated milk. Slowly bring to a boil, stir in butter until melted. Add vanilla extract. Pull off the stove and very slowly add beaten egg yolks while constantly stirring. Roll out dough with rolling pin on floured surface. Place in pie pan, press evenly onto bottom and the sides. Cut off the overhanging pie crust, keep for the decorations. You can use a fork or your fingers to decorate the edge of the pie crust. Layer pear slices into the pie crust, it should make about two layers. 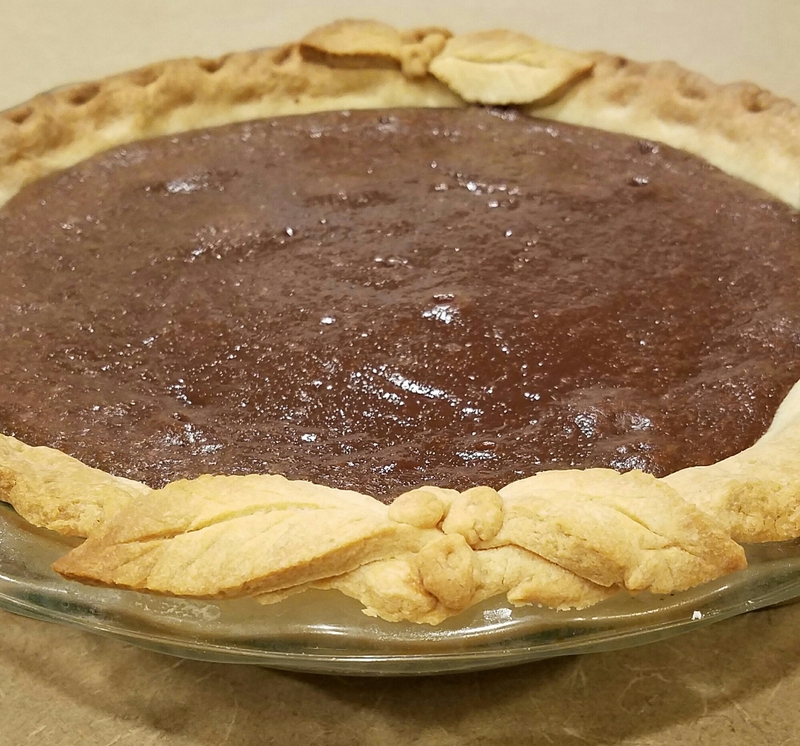 Pour chocolate cream into pie crust. Roll out remaining dough and decorate the edge of the pie crust. I do not recommend making a lattice, but pretty shapes cut out with a knife or cookie cutter placed on the edge make for a beautiful pie. The then remaining crust makes nice crumbly cookies! Bake at 350°F for about 45 minutes, until the cream is not too wobbly anymore. Let cool completely, and enjoy! Whipped cream or vanilla ice cream bring the pie to another level! This pie is rich from the cream, yet the pears bring a deliciously fresh and fruity element to it. Definitely a good tribute to a famous German dessert! 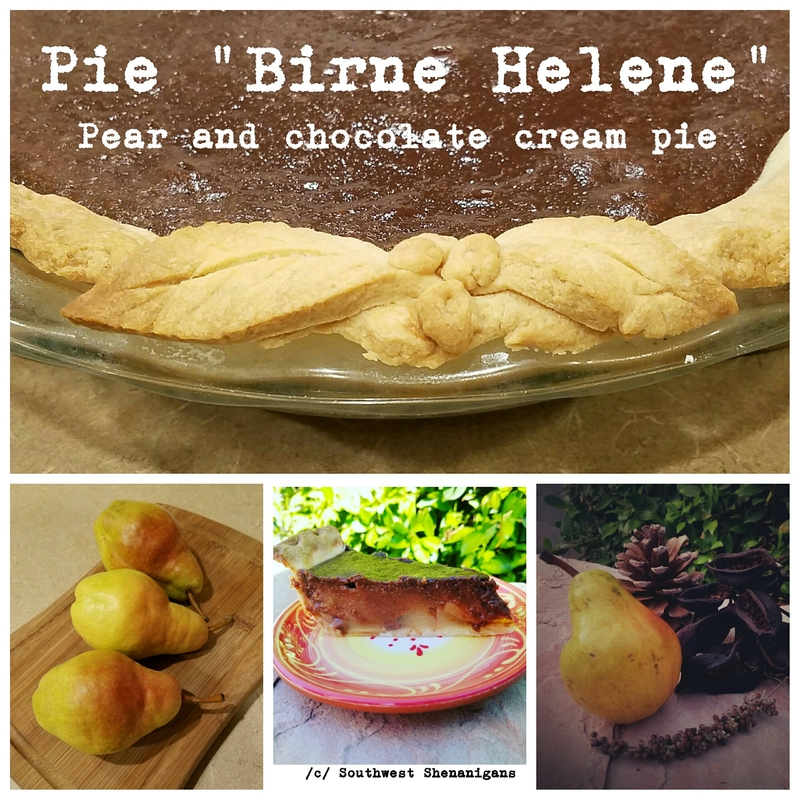 This entry was posted in Baking Buzz, Traditional German. Bookmark the permalink.